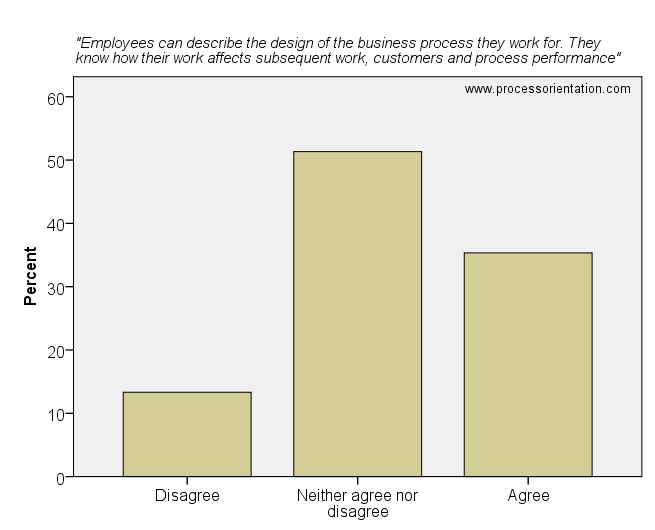 In a process-oriented firm, people who execute the processes need to have appropriate skills and knowledge. 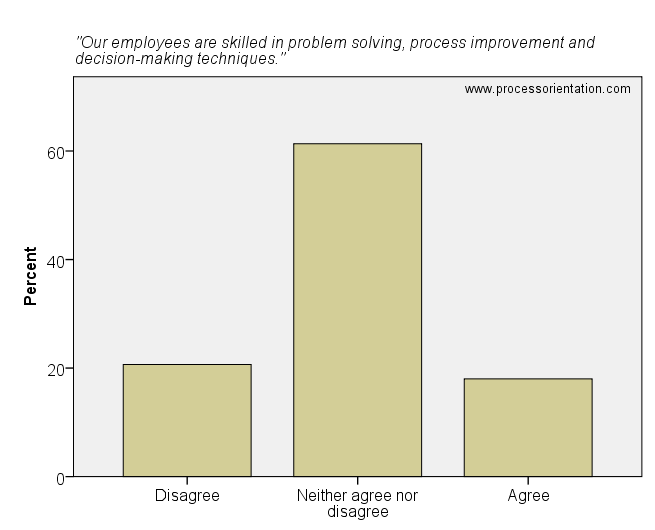 Furthermore, knowledge of certain process improvement, process redesign and change management techniques have to be present. 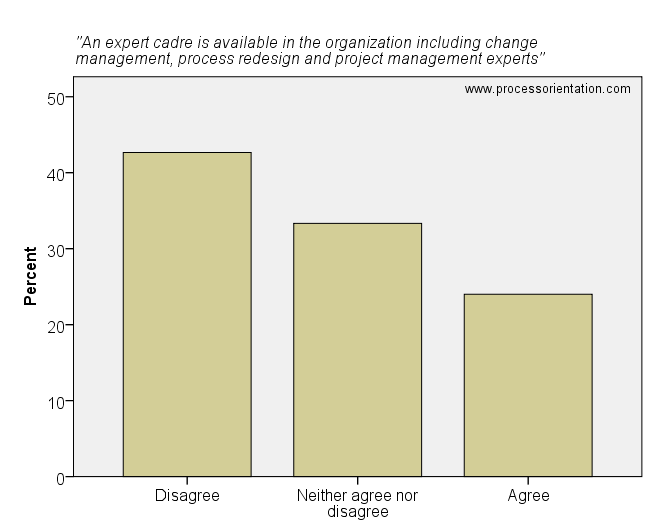 This article discusses the results related to people and expertise of the process management survey. Survey details (research design, sample, etc.) can be found here. 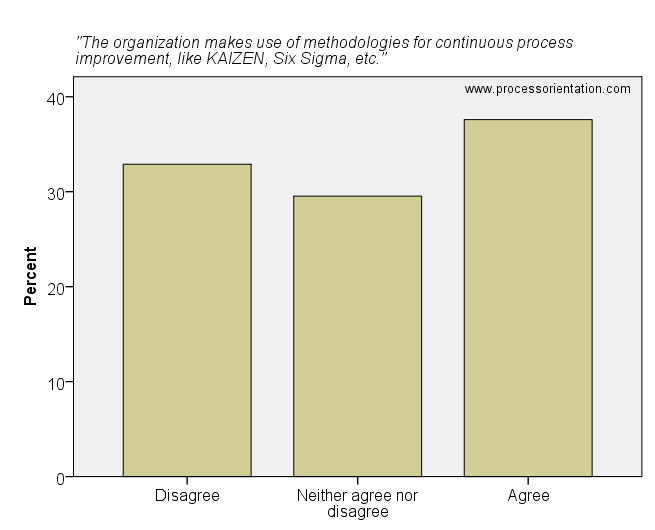 The organization makes use of methodologies for continuous process improvement, like KAIZEN, Six Sigma, etc.